The AEM 28-20408 fits some Chevrolet Colorado, GMC Canyon, Hummer H3, and Hummer H3T models. See vehicle applications for details. 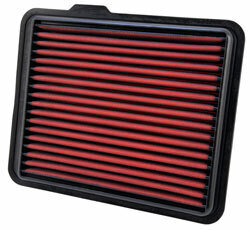 Great filter, does it's job and I will never have to replace it. Great product, I highly recommend it especially if you're leaning towards a dry filter.